My name’s Phil (living in sleepy old Perth) just signed up this morning, finance due tomorrow afternoon, CAN NOT WAIT. Just shy of 56k kms, white with black Pretoria’s, DSG, usual Wolfsburg niceties, has been lowered and res delete. New pads and rotors all round but they couldn’t tell me the brand names. Goes like the proverbial shower and is a joy to steer/brake/smash loud pedal lol. Certainly faster than a previous Bugeye STi with mods I owned and also a GC8 WRX with a KAAZ close ratio straight cut gearbox and 1.5 way front diff and a very loud exhaust, not to mention a VXII Clubsport R8 and VYII SS both of which had the intake/exhaust/tune. All the modern fruit with the under the radar look is very appealing. More pics when I pick it up! Last edited by Bomber24; 26-07-2018 at 10:47 PM. Hey! Welcome. 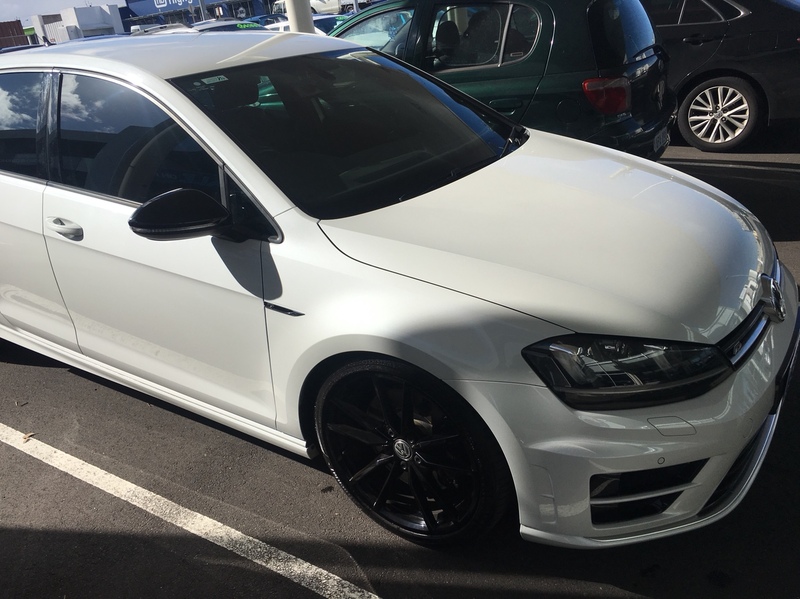 I picked up my mk7r wolfsburg white dsg on Friday! Got it with 51k on it. All times are GMT +11. The time now is 03:55 PM.